Cycle of Online Conferences & Meet ups / Group Coaching in the city of Rhenen, The Netherlands. 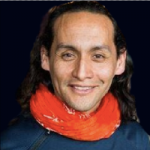 Letter by Luis Daniel Maldonado Fonken, Chairman of the LDMF Foundation, Coach and Trainer. Along my journeys, since 1996, i have met wonderful people, sensitive to life, with creative inspiring ideas, dreams and values. most of them parents. I have also experienced that single parents the most, have uncompleted dreams and wish for an opportunity, support, to accomplish them. I am aware that individuals that are single and have no children may have difficulties understanding the sensitive nature of this project. But i am certain single parents, and couples-parents in general will do. The feeling of completion of dreams, self-realization of an individual is extremely important for our society. In particular when parents achieve their own dreams, children learn with them, all that is in their own spirit, necessary to bring, in order to make their dreams true, or to achieve their goals. The main intention of this project, is to inspire single parents, to tell them, we are empathic to their situation, and would like to support them, by first sharing a word of understanding, but as well creating alternatives for them, to work on. The Parenting Theta project is result of several years of experience, as coach, trainer, friend, traveler, volunteer and love partner in the field of relationship with single parents. I predict that this project will be a first voice in a choir of sensitive volunteers, coaches, trainers, social workers, social entrepreneurs, that have a vision of future, understanding of the nature of happiness, the importance of selfrealization, and the clarity on the importance of the role of parenting, the impact of parents presence and life, leaved in the hearts, perception and spirit of children. are the best and most important direct example, model and teacher, for life. May this project, be of benefit for future generations and our legacy for a new global culture and civilizations. 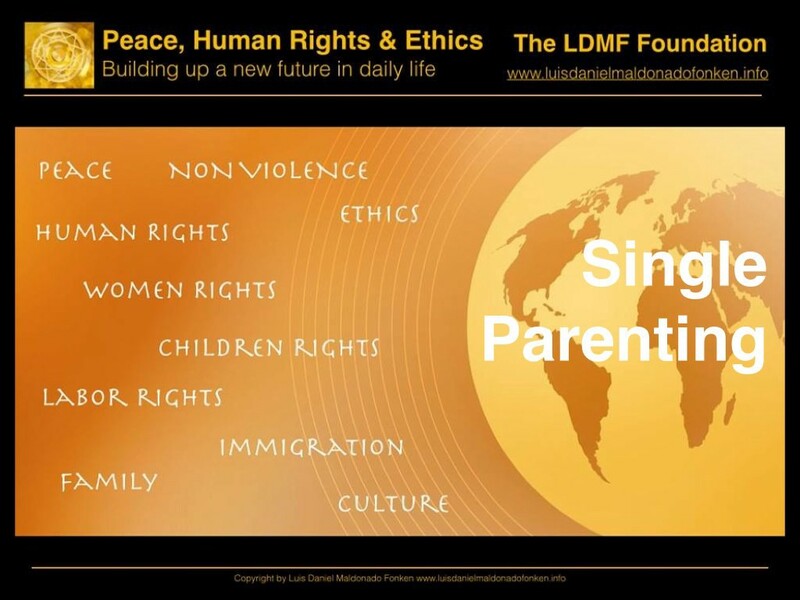 By utilizing online platform dedicated to conferences and presentations the LDMF Foundation intents to reach single parents online and at Location/Region Rhenen, in The Netherlands. Single Parents in Rhenen area, cities Veenendaal, Wageningen, cities and close towns in The Netherlands are welcome to join a monthly meet up on single parenting. At this point in time the LDMF Foundation plans only to develop the meet ups and group coaching at location The Netherlands, according to the response of the online conferences and collaboration of online volunteers, coaches and trainers, and interns of the LDMF Foundation Coaching School, may decide to implement and online program for meet ups and group coaching for single parents. The first 10 single parents that register for any event will receive a 30% Gift Certificate for the e-book: “The Primordial Art of Co-creation: The sun, the moon and the Heart’ on “Influences of hormonal shifts along the menstruation cycle in human performance: skills, perception, emotional intelligence, decision making, collaboration, concentration, focus”. The following training programs have been made available for single parents online. Please attend our events in order to receive gift certificates. The Sun, the Moon and the Heart, Hormonal Influences on Human Performance. The Fundraising Campaign, looks for gathering funds for trainers and coaches to learn the methods and system utilized by the LDMF Foundation.